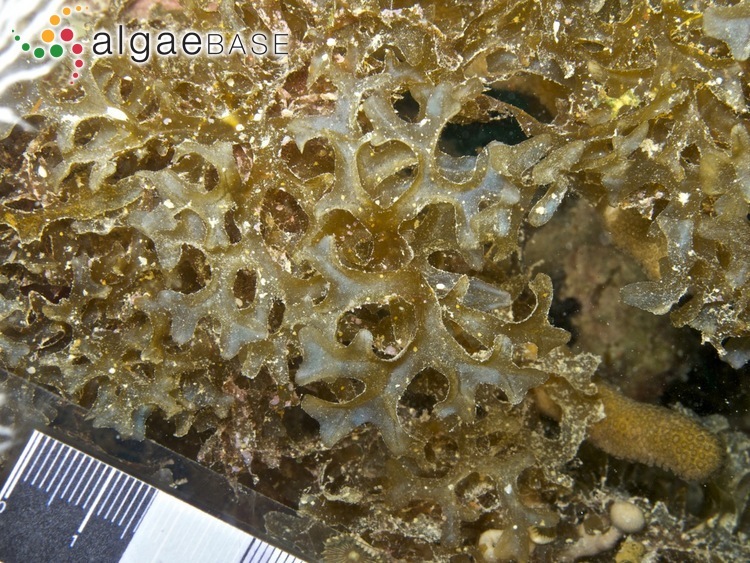 Boheydulang, Sabah, 15m - Reef slope. 20 Jan 2012. Russell Kelley (www.byoguides.com). © Russell Kelley (www.byoguides.com). Panama. In situ spreading and erect sections of thallus.. D.S. Littler. © Diane Littler (littlerd@si.edu). Panama. 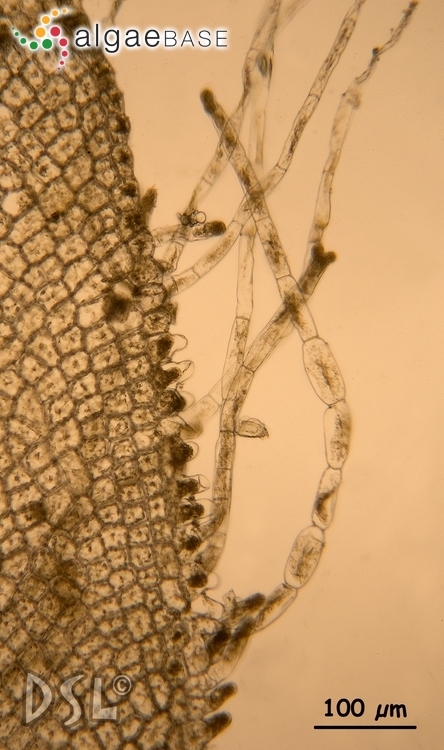 Underside of blade with rhizoids forming mainly from midrib.. D.S. Littler. © Diane Littler (littlerd@si.edu). Panama. 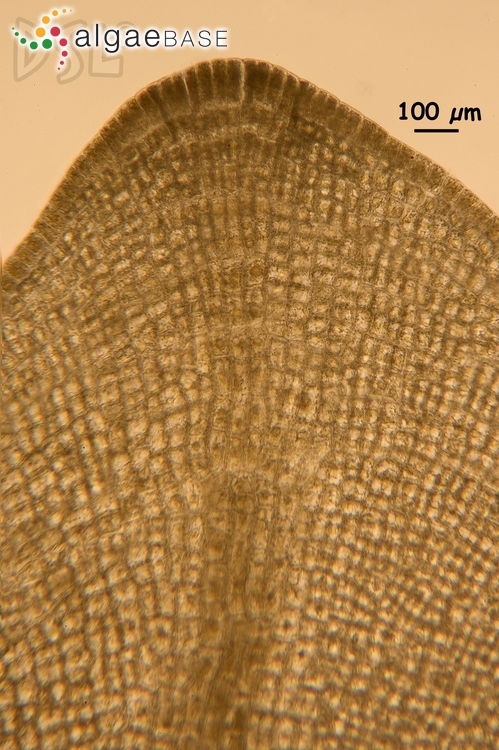 Transverse section of blade showing expanded midrib vein.. D.S. Littler. © Diane Littler (littlerd@si.edu). Panama. 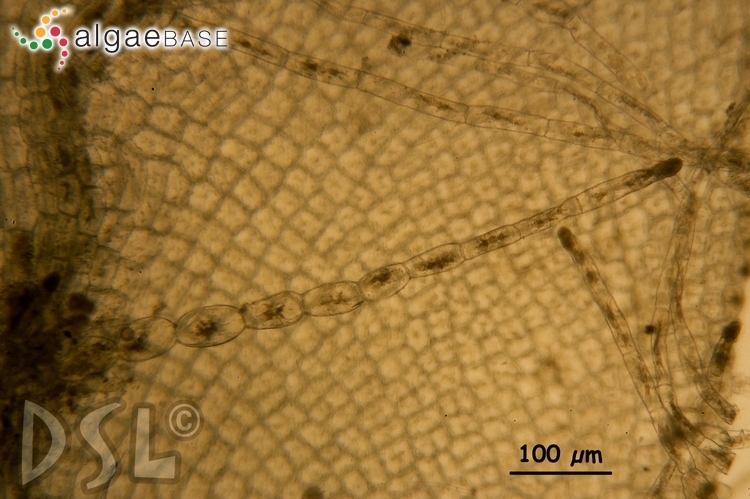 Underside of blade with rhizoids forming from midrib and lower right margin. D.S. Littler. © Diane Littler (littlerd@si.edu). Panama. Underside of blade with rhizoids forming at margins. D.S. Littler. © Diane Littler (littlerd@si.edu). Panama. 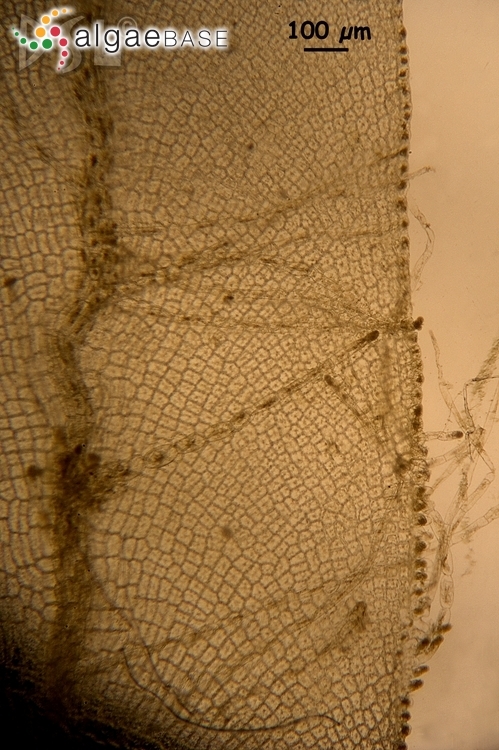 Surface view of apical meristimatic cells developing into midrib. D.S. Littler. © Diane Littler (littlerd@si.edu). 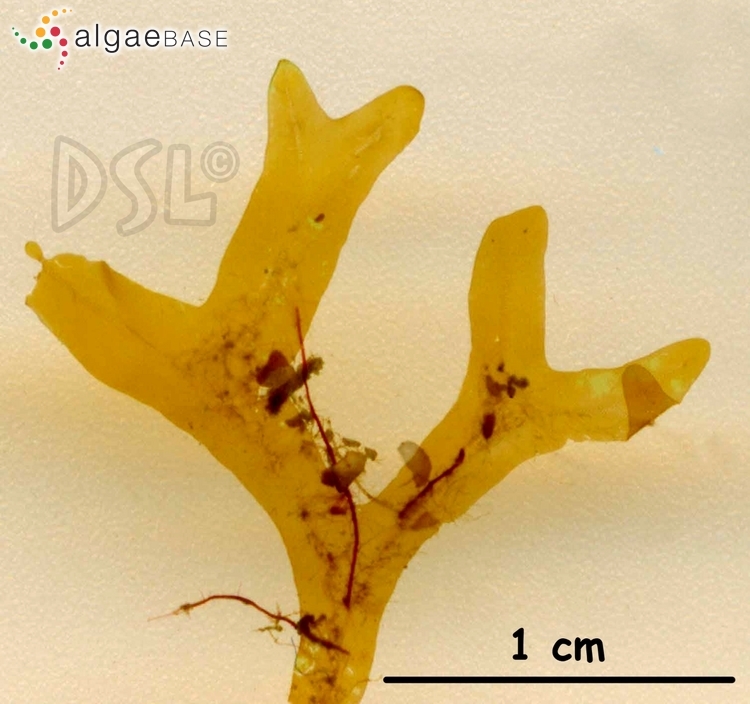 The type species (holotype) of the genus Dictyopteris is Dictyopteris polypodioides (A.P.De Candolle) J.V.Lamouroux. Type locality: Truk Islands, Caroline Islands (Silva, Basson & Moe 1996: 584). 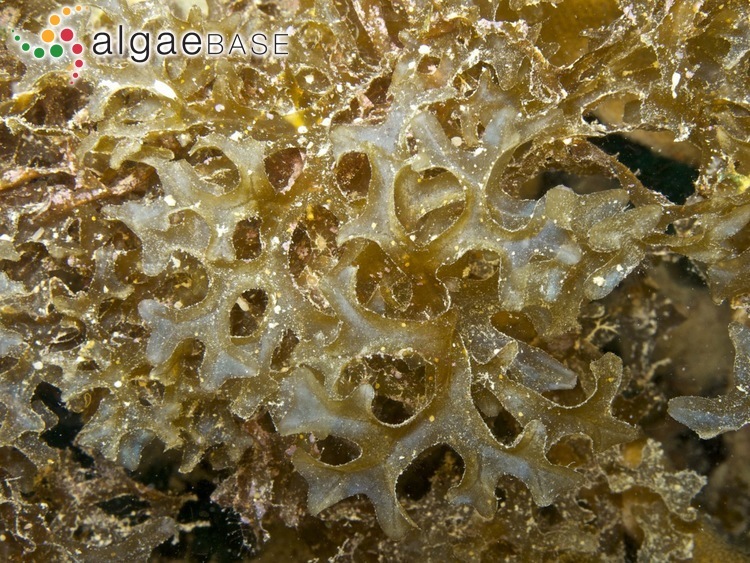 Notes: Type locality: Chuuk Islands, Caroline Islands (Skelton & South, 2004). According to Silva et al. 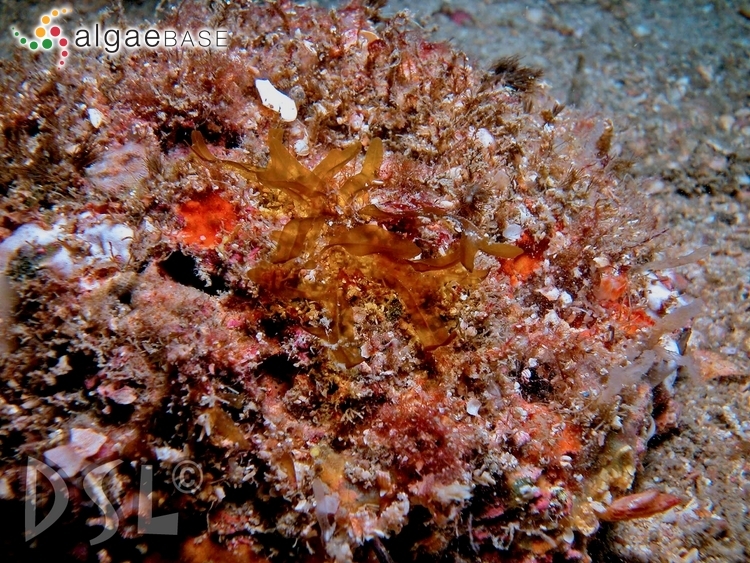 (1996) the name Haliseris delicatula has been misapplied to this species by Barton (1903a: 477). Kraft, G.T. (2009). 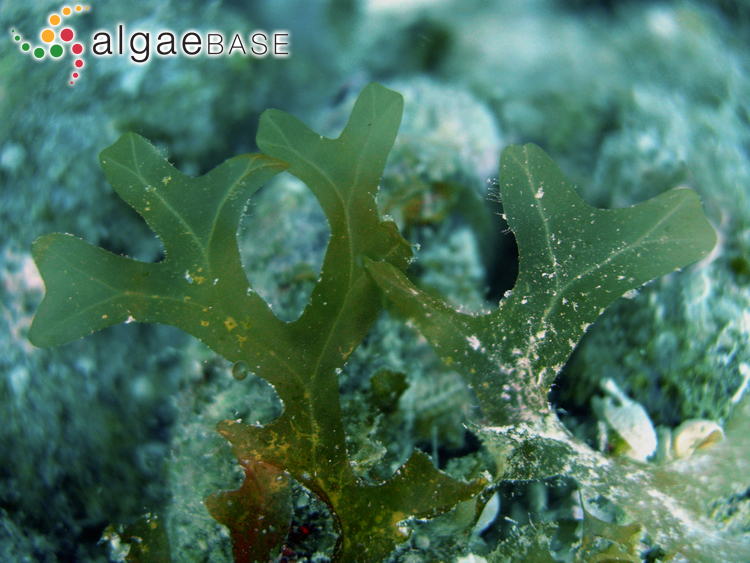 Algae of Australia. 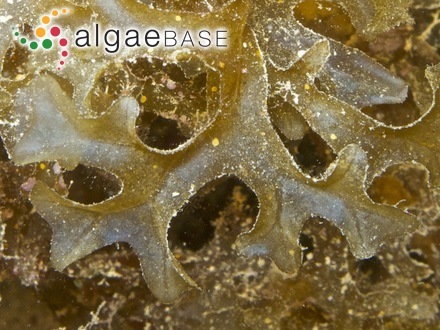 Marine benthic algae of Lord Howe Island and the southern Great Barrier Reef, 2. Brown algae. pp. [i-iv], v-vi, 1-364, 107 figs. Erratum of fig. 73 from vol. 1. Canberra & Melbourne: Australian Biological Resources Study and CSIRO Publishing. Accesses: This record has been accessed by users 2518 times since it was created.